Clearly this issue is of immense importance and this organization needs to release a clear and formal statement concerning any decision on withdrawing support for Tibet’s rightful independence. Should such a declaration be made we shall be happy to feature it here and extend to RTYC Bangalore the right to offer a rejoinder to this post. There are questions which demand answering. 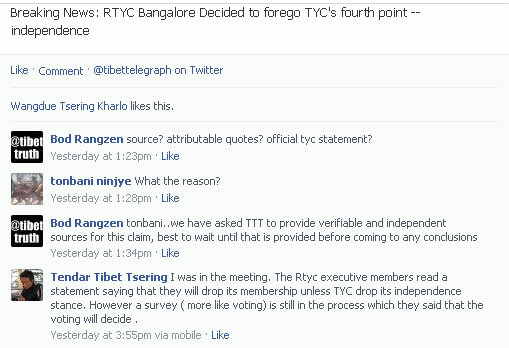 For example why has RTYC Bangalore insisted no decision has been reached YET according to Tibetan journalist Tendar Tibet Tsering such an agreement was reached by its Executive to forgo Tibet’s independence? There had been circulating some unsubstantiated suggestions that RTYC Baroda was following a similar line, so via Facebook we requested a clarification, our FB admin was informed (via private message) that such claims were baseless rumor. 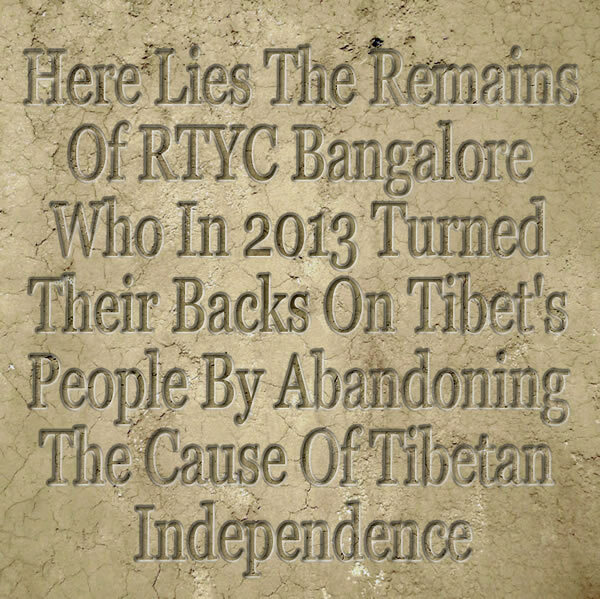 It is not unusual however for various speculations to pulse through exiled Tibetan communities and so we are very happy to post any formal and definitive statement from RTYC Baroda that it is not considering any review of its commitment to Rangzen.